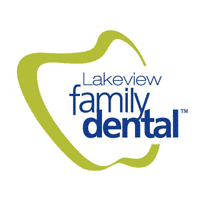 Lakeview Family Dental Providers Jean Y. Lee, D.D.S. Dr. Jean Lee, DDS is the general and cosmetic dental specialist at Lakeview Family Dental in Pacoima, Lake View Terrace, Sylmar, California. Dr. Lee takes a gentle approach to dental care, which is why she’s loved by both her pediatric and adult dental patients. Her philosophy is to be proactive in preventive care so she can manage your oral health with more conservative treatments. Dr. Lee was born in Portland, Oregon, and moved to California to complete her undergraduate degree in molecular cell biology at the University of California, Berkeley. She remained in California and received her doctor of dental surgery from the University of California, San Francisco. Dr. Lee is an active member of a number of associations, including the American Dental Association, California Dental Association, and the San Fernando Valley Dental Society. As a dedicated professional, Dr. Lee is always looking for ways to improve her skills and the care she provides to her patients by attending and participating in professional conferences and continuing education. When she’s not at the office improving your oral health, Dr. Lee enjoys spending time with her friends and family, eating out, and trying new restaurants. Dr. Lee loves to travel and experience new things, including zip lining in Catalina and snorkeling in Thailand.